Ladies peep toe leather shoe in Almond, Black patent, Marine. 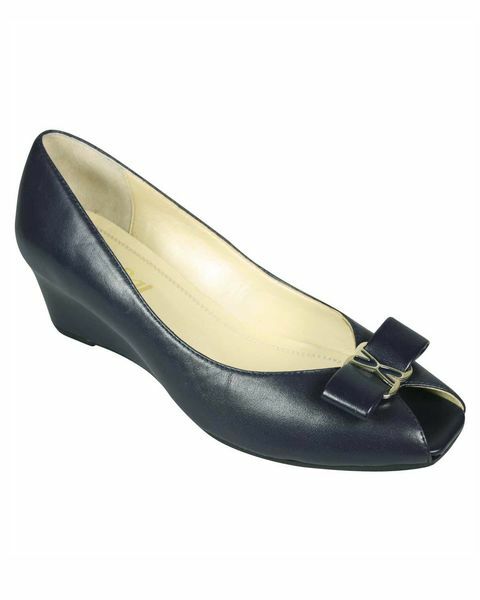 Sophisticated peep toe leather shoe with 1½” wedge heel and rubber sole. Decorative bow detail to front. D fitting. Almond, Black patent, Marine.